As opposed to a conventional camera, which forms an image using only visible light, a thermal imaging camera uses infrared radiation instead. This means that you can actually see differences in radiated heat on a surface or object, which has a number of benefits. It is important that you understand exactly how to interpret these images for the best results. Thermal imaging cameras can be used to identify electrical equipment that is overheating, detect insulation losses from a building site, spot people moving in complete darkness and help fire-fighters identify individuals in a smoke filled room. But before deciding to invest in a thermal imaging camera, you are bound to have a few questions. 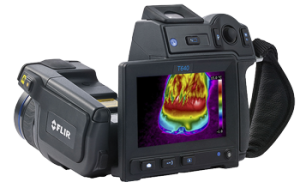 Here to help you out is Instrotech, an authorised dealer of thermal imaging cameras. Can thermal imaging cameras detect water leaks and moisture? Yes. Thermal imaging cameras feature highly sensitive detectors, which enables the user to identify water leaks. This is enhanced by the fact moist materials retain thermal energy differently, which will be picked up by the camera. However, it is always important to conduct different testing with water leaks and moisture, as other factors can influence thermal anomalies. Can thermal imaging cameras detect air leaks? Yes, although this is also dependent on camera sensitivity. However, seeing as air leaks around doors, windows or other areas will be a different temperature to the surroundings, any thermal imaging camera should be able to detect these. It’s important to understand the cameras do not see the air movement directly, what they see is the change in the surface thermal pattern, caused by the movement of cold or warm air across it. No. It may appear so with high resolution and high sensitivity cameras, but this is just transmitted thermal energy. For example, when looking at a property’s wall from the inside, you may be able to see where the studs are on the surface. This is due to a difference in the thermal capacity of the material, which modifies the transfer of heat to the surface, and not the ability to see through walls. This is the amount of thermal energy an object emits or absorbs. This can be a problem with thermal imaging cameras, because highly reflective materials reflect more of the surrounding radiation and therefore do not show accurate thermal patterns and obtaining correct temperature readings can be impossible in some cases. Thankfully, most thermal imaging cameras can be adjusted to measure different materials accurately, however it is always recommended to use high emissivity materials for making measurements correctly. This refers to Picture-in-Picture (PIP) technology, which allows you to overlay thermal images onto a standard picture. With this feature, you can see what is causing higher or lower temperatures and can make more accurate conclusions. It is also beneficial for identifying where pictures were taken, as thermal images can be a little confusing to comprehend. What should you look for in a thermal imaging camera? Although price will be the biggest consideration for many, there are a few key features that you should be on the look-out for. Resolution is important if you intend to view objects from a distance, while temperature range will depend on your chosen application. Also, think about the camera’s power source, as it may need to be used for long periods of time. 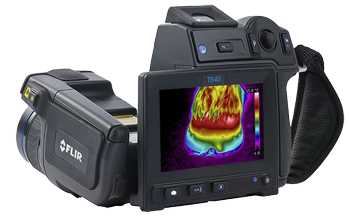 If you require help when you are making a choice or would like to understand how thermography works, contact UK based Instrotech for more information on cameras and training. They will be able to provide you with all the help that you need whether you are simply looking to acquire a suitable product or looking for more specialist help and training in the use of these specialist devices.